Marcus Cocceius Nerva, (November 8, 30 January 27, 98) was a Roman Emperor (96-98 ). He was a member of the Italian nobility rather than one of the elite of Rome; in this he was like Vespasian, the founder of the Flavian dynasty. The place of his birth is Narnia town , now named Narni in Umbria region. Members of his family had held high office; his great-grandfather was consul in 36 BC, and his grandfather was in the imperial entourage at the time of Nerva's birth. Nerva was connected with the Julio-Claudian dynasty, as his uncle Octavius Laenas had married Rubellia Bassa the great-granddaughter of Tiberius. Nerva was the first of the Five Good Emperors, and the last emperor who was Italian both by family and by birth. He had not pursued the usual administrative career, although he had been consul with Vespasian in 71 and with Domitian in 90. Nerva was elevated to emperor on September 18, 96. The Fasti Ostienses, the Ostian Calendar, records "Fourteenth day before Kalends of October: Domitian killed.On the same day, Marcus Cocceius Nerva proclaimed emperor." According to Cassius Dio he was approached by the conspirators against Domitian because he was elderly (61) and childless - that is, a safe pair of hands. This also had the effect of saving his own life, which was under threat from Domitian. After his accession, Nerva went to set a new tone: he released those imprisoned for treason, banned future prosecutions for treason, granted amnesty to many whom Domitian had exiled, restored much confiscated property, and involved the Roman Senate in his rule. He probably did so as a means to remain relatively popular (and therefore alive), but this did not completely aid him. Support for Domitian in the army remained strong, and in October 97 the Praetorian Guard, laid siege to the Imperial Palace on the Palatine Hill and took Nerva hostage. He was forced to submit to their demands, agreeing to hand over those responsible for Domitian's death and even giving a speech thanking the rebellious Praetorians. Petronius and Parthenius, blamed by the Praetorians for Domitian's death, were killed. Nerva was unharmed in this assault, but his authority was damaged beyond repair. He had no natural children, but found salvation in the idea of adopting someone who would have the support of both the army and the people. He adopted Trajan, a commander of the armies on the German frontier, as his successor shortly thereafter in order to bolster his own rule. 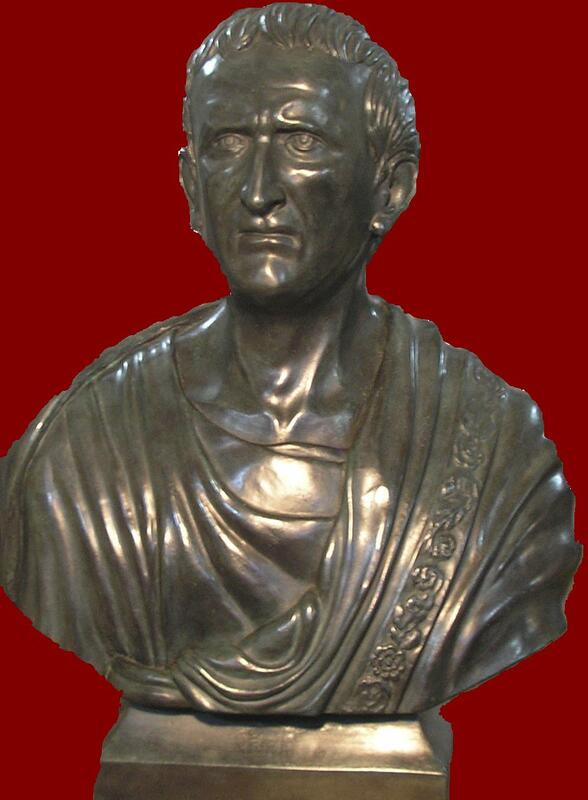 Casperius Aelianus, the Guard Prefect responsible for the mutiny against Nerva, was later executed under Trajan. 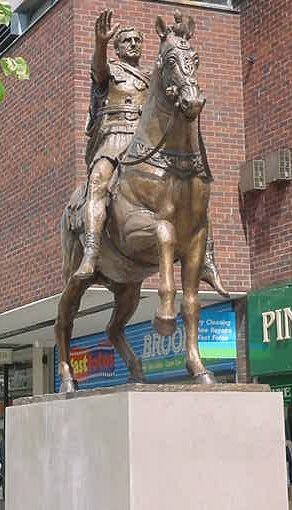 In 1997 Gloucester celebrated its foundation as a Roman colonia and create the statue of Nerva.